centrally located in Kearney, Nebraska. and for us to learn how we may be of service to you. SERVICES - "Did you know..."
FAQ - "Some things to keep in mind"
CONTACT US - "Privacy Rights"
Divine Guidance, I make this pledge. 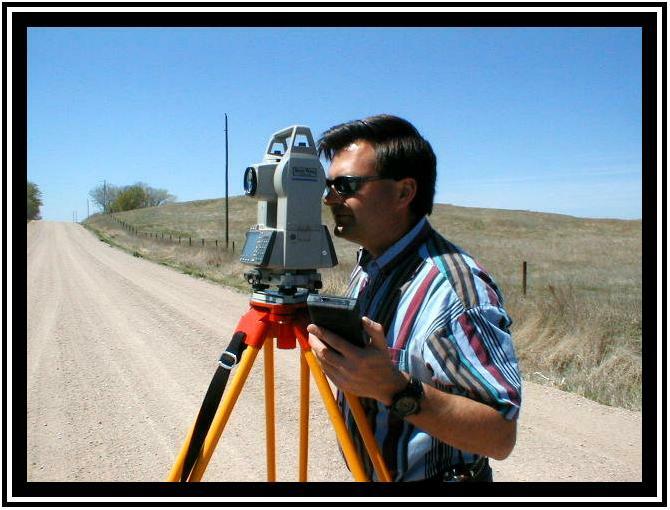 A Professional Surveyor should accept assignments only in one's area of professional competence and expertise.